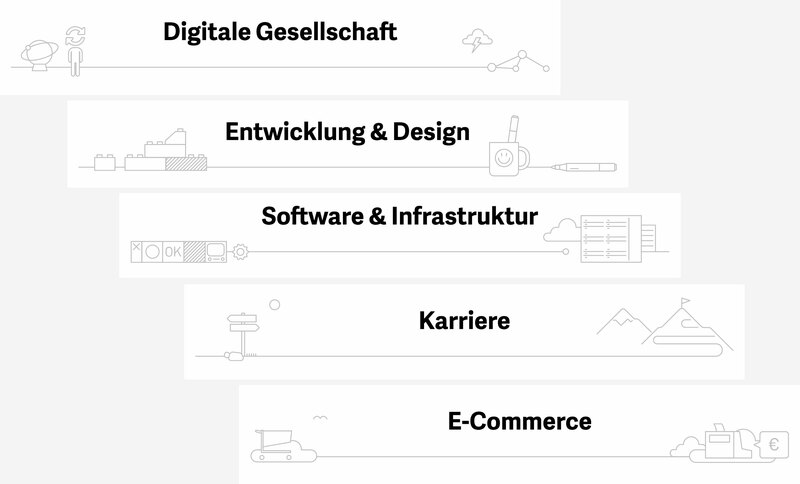 T3N is one of Germany’s leading technology publications, covering web design, digital culture and business. 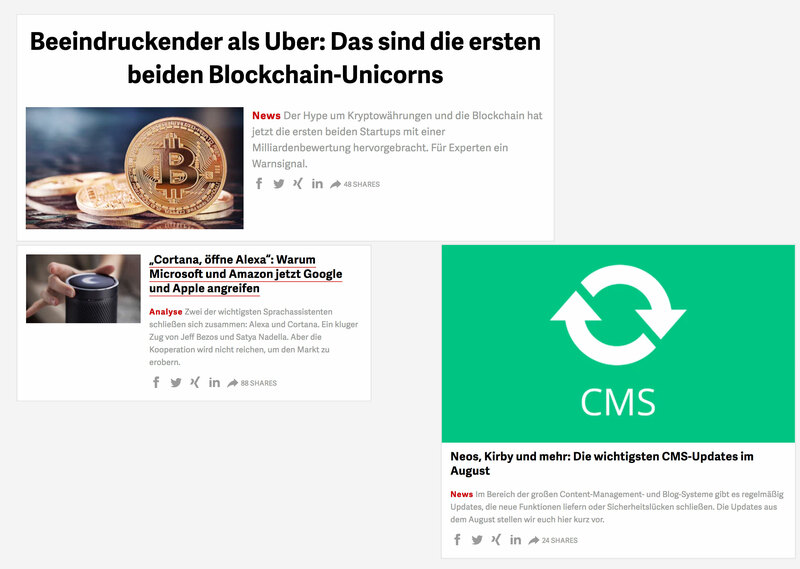 T3N is one of the leading german publications covering technology, web design, digital culture and business. Located in Hannover, the T3N team grew to 40+ editors, developers and designers, dedicated to produce rich content for both its print magazine and the T3N website, which has more than 3 million visitors each month and grows constantly. 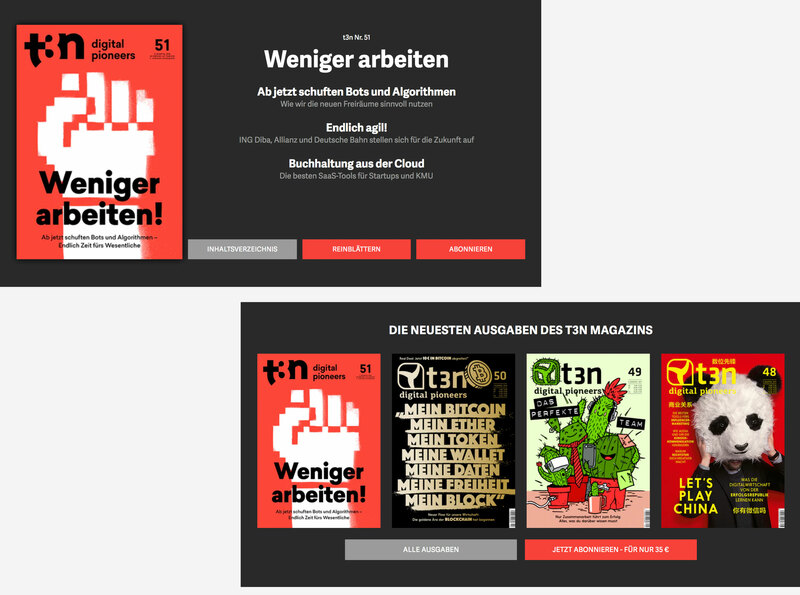 In 2016 T3N hired the Berlin-based agency Clapp for a rebrush of the T3N website with a strong emphasis on typography and an overall rework of the article templates. 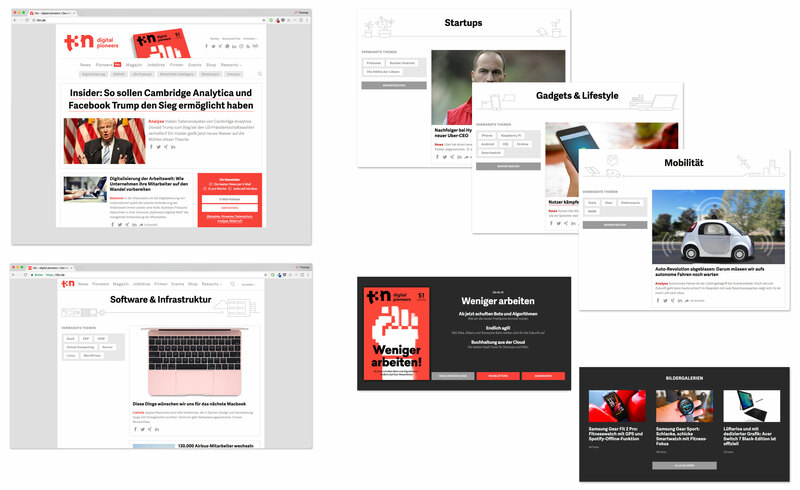 As creative director I led a small team and we defined a new visual language and information architecture for the T3N homepage as well as for the article templates. We worked in two sprints focusing on prototyping and fast results that could be tested before implementation. Ads. As so often, building tools for great storytelling has its limitations when platforms base their business models on banner advertising. (Non-responsive) banners and the “fireplace ad” format, which restricts the content area of a website to merely 960 pixels width, severely limit the design options with regard to image sizes, article headers and the overall grid of the website.